It’s time to look back at last year’s book selections and get your feedback as to which ones you liked best, why, and suggestions as to upcoming twelve 2015 book selections. In essence, this is your opportunity to give the professor a grade for the 2014 book selections. As I look back, judging by your responses, the #1 book selection of the year has to be the October entry: Ralph Moody’s Little Britches. A number of you were introduced to the Moody family read-aloud series ago, and welcomed the opportunity to revisit. Do let me know which other selections you especially enjoyed. And for all of you who may be interested in climbing aboard for this year’s selections, permit me to bring you up to date. Dr. Joe’s Book of the Month Series was born On Oct. 19, 2010, as a result of former students urging me to come back into their lives in a special way: “Dr. Wheeler, years ago, I was in your classes, and you introduced us to books you’ve loved personally—and got me to do the same. I miss those sessions with you! Please, please, do it again. There are millions of books out there, which makes it ever so difficult for me to choose the ones that are really worth reading—especially for people like me who, like you, strongly believe in God and country, and values worth living by.” [a synthesis of responses]. But now, since I couldn’t give anyone a grade and wasn’t ordering books, I have had little control over who bothered to buy the books and read them and who did not. A year ago, a bit discouraged because I didn’t hear back from “members” very often, I asked for feedback. So positive were your responses, and so many told me you were finding copies, reading them, and adding them to your personal libraries, that I decided to keep the series going. A number of you have gone further and told me how meaningful many of the selections have been to you personally. Such responses really help, for it is time-consuming to keep searching for new books worth including, older books that are worth considering, and books I’ve loved but must re-read before I grant them my personal blessing by choosing them. Undoubtedly, the world-wide-web has made it easy for any of us to track down copies of even some of the scarcer titles. It has evolved into a most eclectic mix of genres: non-fiction, contemporary, books children and teens have loved for generations, timeless classics, romantic fiction, westerns, Christmas classics, and so on. It is my hope and prayer that, if you keep my feet to the fire long enough, we’ll end up with a family library that generations yet to come will cherish. Please weigh in immediately, and identify yourself (if unknown to me) as to interest in book club. Let me know (1) how long you’ve been a member, (2) what percentage of the 36 books you’ve purchased and read, (3) what your reactions are, (4) what grade you’d give me so far, (5) and any other thoughts you might be willing to share. Do this during the next week, please. Also, suggestions for adding more members, such as starting up a discussion forum on Facebook or other media venues. It was a little over two years ago that we launched “Dr. Joe’s Book of the Month Club.” Since it was voluntary, no-fee, and no one was required to respond, it has been most difficult to know just who has been faithfully (at least most of the time) keeping up. Before introducing Book #26 in 2014, I’d really like to hear back from all of you who have been following along. Let me know which authors, titles, you like best, and why. General reactions to the format too. Anything – just report in. Please? So I can be reassured that these monthly book blogs are meeting a need. I abjectly apologize for the long delay in completing The Great Circle. 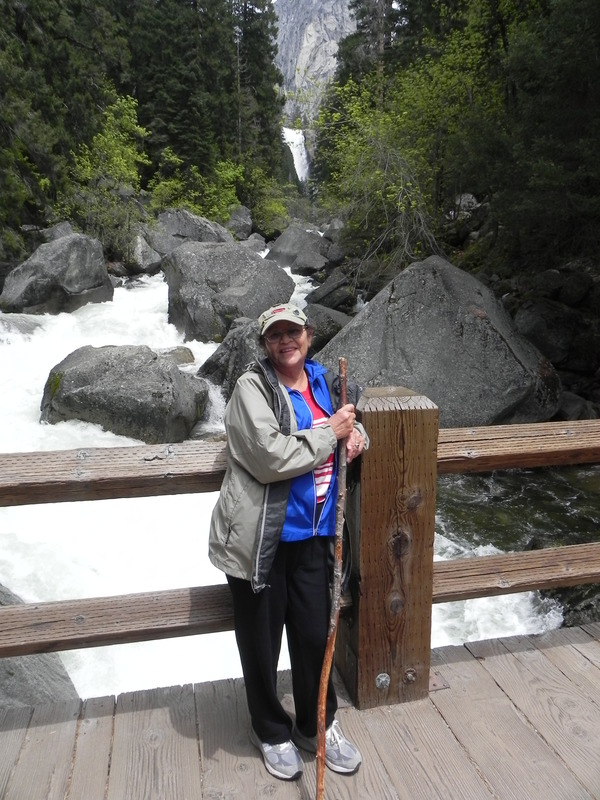 Just to recapitulate, Bob and Lucy Earp, and Connie and I were so impressed by Ken Burns’ magnificent PBS National Park Series films that we decided to personally explore our western national parks for ourselves. Since we’d also been impressed with Christine Barnes’ Great Lodges of the National Parks (aired just after the Burns and Duncan series by PBS) as well as the two books that preceded the film series, we decided to stay in those wonderful old lodges whenever possible. It took us two years to complete both the Northwest and Southwest portions of The Great Circle. However, the blogs that detailed our peregrinations came to a temporary halt on June 20, 2012; “temporary,” because I fully intended to return to the series in a couple of weeks, but so many timely, provocative, and interesting subjects intruded that almost a year has passed since then! This time, I promise we’ll complete the loop before I stray away again. It is impossible to read Duncan and Burns’ national parks blockbuster without being mesmerized by the role one man played in awakening the nation to a belated conviction that America’s endangered scenic wonders must be saved before it was too late. John Muir (1838-1914) was born in Dunbar, Scotland, but moved when only nine to America. In 1867, while attending the University of Wisconsin, Madison, an industrial accident nearly cost him an eye. That near disaster changed the course of his life, for he abandoned his technical studies and devoted himself to nature. He walked from the Middle West to the Gulf of Mexico. In 1868, he trekked into then little known Yosemite Valley, which over time became his life’s lodestar. From this focal point he took many trips into Nevada, Utah, Oregon, Washington, and Alaska. As early as 1876, Muir urged the federal government to adopt a forest conservation policy. The Sequoia and Yosemite National Parks were established in 1890. Early in 1899, President Grover Cleveland designated 13 national forests to be preserved from commercial exploitation; but powerful business groups persuaded the President to back off. But Muir penned two eloquent magazine articles that reversed the tide and swung public and Congressional opinion in favor of national forest reservations. Muir also influenced the large-scale conservation program of President Theodore Roosevelt, who in 1903, during his first term in office, accompanied Muir on a camping trip to the Yosemite region. The rest of Muir’s life was spent in almost continual battle with commercial interests determined to wrest control of America’s scenic wonderlands away from those who sought to preserve them for posterity. Though Muir won many such battles, one of his defeats all but broke his heart and hastened his death: the damming of Little Yosemite Valley and turning it into the Hetch Hetchy water reservoir for California’s Bay Area cities. Quite simply, Yosemite National Park is iconic in its being one of the world’s most famous wild spaces. Even in the midst of the Civil War, Lincoln found time in 1864 to sign a Congressional bill granting Yosemite Valley and the Mariposa Grove of Sequoias to the State of California as an inalienable public trust. Among the wonders drawing tourists from around the world are the 620-feet-high Bridalveil Falls, the 3,000-feet-high El Capitan (the largest monolith of granite in the world), 8,842-feet-high Half Dome (Yosemite’s most recognized feature), 3,214-feet-high Glacier Point, three Redwood groves (the largest being the Mariposa Grove), 317-feet-high Vernal Falls, 500-feet-high Cascades, 370-feet-high Illilouette Fall, 600-feet-high Pywiak Cascade, 2,000-feet-high Sentinal Falls, 2,000-feet-high Snow Creek Falls, 1,612-feet-high Ribbon Fall, 1,250-feet-high Royal Arch Cascade, 700-feet-high Wildcat Fall, and the granddaddy of them all: 2,565-feet-high Yosemite Falls (including 1,430-feet-high Upper Fall, 320-feet-high Lower Fall, and the Cascades), besides the Park’s too many to count ephemeral falls [seasonal]. 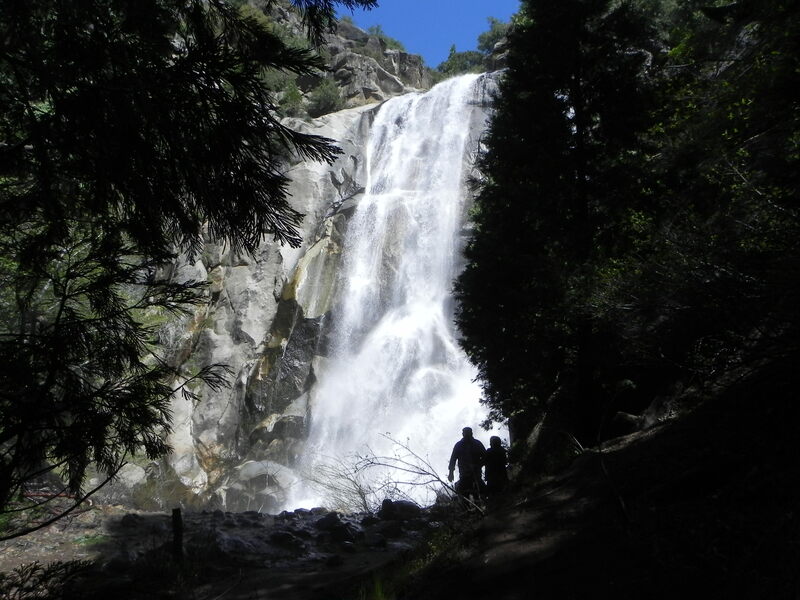 Mike Osborne says of the spectacular totality, “Many would argue that Yosemite National Park has the grandest assemblage of waterfalls in the world.” And there are many more in Yosemite’s high country (which few tourists ever reach). 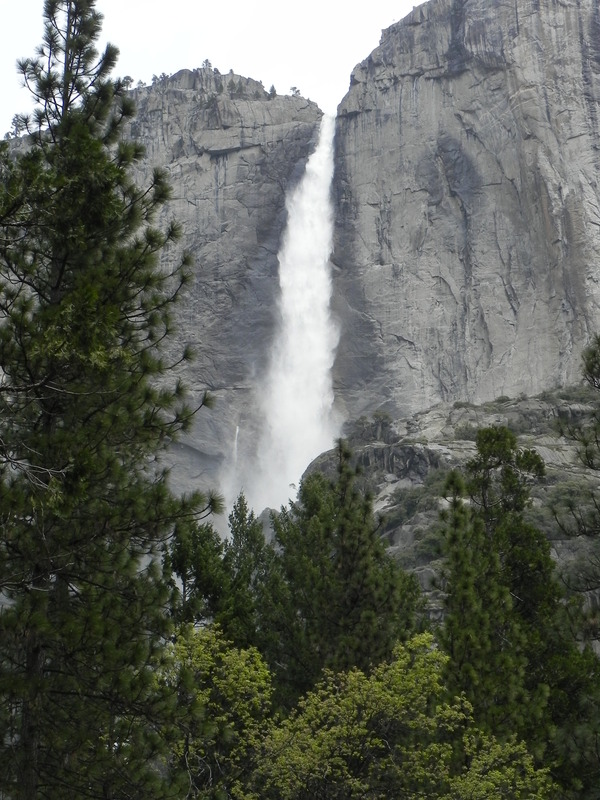 The spectacular Grand Canyon of the Tuolumne, with its Horseshoe Falls, can only be reached by foot. Our visit will continue next week. Dayton Duncan and Ken Burns, The National Parks: America’s Best Idea (New York: Alfred A. Knopf, 2009). Northern California and Nevada Tour Book (Heathrow, Florida: AAA Publishing, 2009). Osborne, Mike, Granite, Water, and Light: The Waterfalls of Yosemite Valley (Berkeley, California: Yosemite Association, 2009). Walklet, Keith S., Yosemite: An Enduring Treasure (Berkeley, California: Yosemite Association, 2001). Without fear of hyperbole, I submit that this collaborative effort by Dayton Duncan and Ken Burns (New York: Alfred A. Knopf, 2009) is one of the greatest books of—not only this year, but this generation. It is a prodigious piece of scholarship! Just imagining their challenges gives me the chills: Becoming the authority on America’s history of conservation, and lack of it; the history of all of our national parks and monuments; the biographies of all the key figures in the development of each one; securing copyright permissions for this warehouse-worth of documentation; securing illustrations of all kinds and permissions to use each one; writing (in association with the filming of the award-winning PBS series of the same name); and then fact-checking every last piece to the mosaic. Obviously though the text itself was written by Dayton Duncan, it had to be synthesized with Burns’ PBS film series; there could be no noticeable discrepancies between the two. I’m in awe at what they and their staffs accomplished. For almost two years now, this book has been my bible for writing two blog series: The Northwest National Parks and The Southwest National Parks. Every time I’ve moved from one park to the next, before I turned to any other sourcebook, I first milked this book dry. They never let me down. They and the writer of the two companion books on the wonderful old lodges that grace these parks: Christine Barnes. So it has been, as you have kindly vicariously traveled along with Connie and me and Bob and Lucy Earp, that thanks to The National Parks, we were able to briefly give you snapshots of how the following parks came to be: Crater Lake National Park, Oregon Caves National Monument, Mount Rainier National Park, North Cascade National Park, Olympic National Park, Yellowstone National Park, Grand Tetons National Park, Glacier National Park, Rocky Mountain National Park, Arches National Park, Canyonlands National Park, Capitol Reef National Park, Bryce Canyon National Park, Zion National Park, Grand Canyon National Park, Death Valley National Park, Sequoia National Park, Kings Canyon National Park; we are now studying Yosemite National Park; and we shall conclude the Great Circle with Great Basin National Park. But, my blogs have only provided you with enough information to whet your appetite for learning more about each park; for that it is a must that you buy a copy of the book for yourself and make it your own. Within those two covers you will have an almost inexhaustible treasure mountain to mine from in future years. But more than all that, you will discover that the book is also the riveting story of the American people, and how thousands of people from many professions and many levels of society came together in making possible a cause greater than themselves. Once you read this book, I will almost guarantee that you will, like our intrepid foursome, wish to personally explore these parks yourselves, using the book as a guide. In our trips, as we were driving from one park to another, one of us would read aloud from this book to the others in the car so that when we arrived there we’d not only know what to look for but also know the significance of what we saw and experienced.. Nor should I fail to bring out a great truth: Our children and grandchildren will value very little temporal things we give them, but they will cherish until the day they die the memories you made with them, the places you took them to, the time you spent with them, the things of value they learned with you. With this in mind, consider the purchase of this book, reading it, marking it, internalizing it, and making it your family treasure map to the greatest national park mother lode in the world! 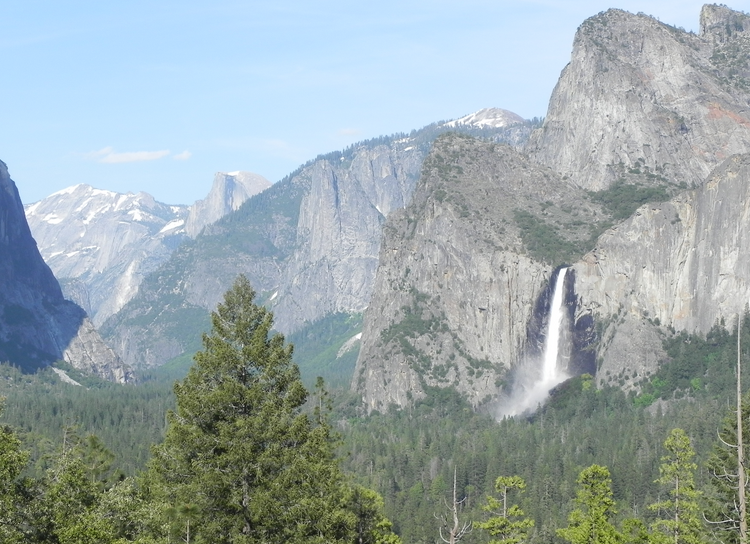 Yosemite is the penultimate stop in our Great Circle of National Parks grand tour that we began on August 4, 2010. It is fitting that our closing fireworks takes place where the National Park story begins. And for that story we can thank Dayton Duncan and Ken Burns, for their book has been our sourcebook. Yosemite’s story really begins with Dr. Lafayette Bunnell in one of the earliest expeditions (1851) into this then all but unknown valley. He was so overwhelmed by what he saw that he named the valley. Wrongly, it turns out. In his ignorance of the Native American Indians who lived here, he mistakenly named it Yosemite Valley. Turns out that Yosemite translates as “Killers” . 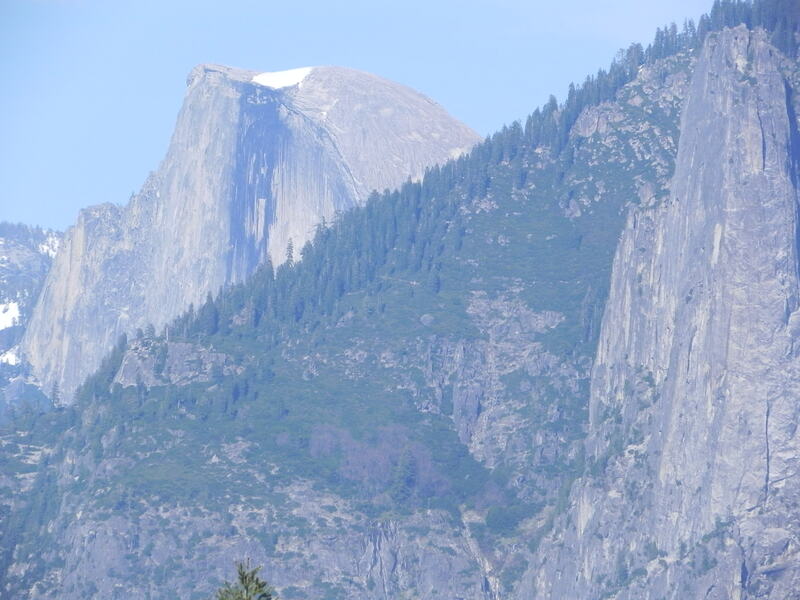 . . “People who should be feared.” It should have been called “Ahwahnee Valley,” so named by the Ahwahnee Indians who referred to themselves as the “Ahwahneechies.” Translated, “Ahwahnee” means “The Place of the Gaping Mouth” (Duncan and Burns, p. 2). Word spread, and photographers (the profession then in its infancy) and artists such as that great romantic landscapist, Albert Bierstadt (who came here and painted such magnificent canvasses in 1862 that he was paid a then unheard of $25,000 for one of his Yosemite paintings) packed into the valley to see if it was all legend attributed to it. In 1864, John Conners (junior senator from the very young state of California) did an almost unbelievable thing: In the midst of the bloodiest war in American history (with more casualties than in all the rest of America’s wars combined) Conners stood up on May 17, 1864 in the Senate Chamber and introduced a bill to preserve this little-known valley. A proposal that was unprecedented in human history: to “set aside a large tract (some 60 square miles) of natural scenery for the future enjoyment of everyone.” The bill included both Yosemite Valley and the Mariposa Grove of Big Trees (Sequoia). The concept for the bill had originated with Captain Israel Ward Raymond. Such a proposal seemingly made little sense in light of Americans’ well-known propensity to trash all itsnatural wonders. They’d already all but ruined Niagara Falls with cheap commercialism. Almost unbelievably—no small thanks to Conners’ assurance that the land was completely worthless and wouldn’t cost the country a dime—, the bill sailed through; and on June 30, 1864, President Abraham Lincoln “signed a law to preserve forever a beautiful valley and a grove of trees that he had never seen thousands of miles away.” (This section, Duncan and Burns, 8-13). Unwisely, it turns out, the bill mandated turning the park over to the State of California to administer, which resulted in half a century of fierce and unrelenting warfare between the forces of those who sought to preserve the park in its pristine state and those who sought to commercialize it, log it, mine it, and do all they could to destroy it. It proved to be one of the bitterest wars the West has ever known (matched only by the battle to preserve the Grand Canyon of the Colorado). The unenviable job of actually protecting the park fell on the shoulders of 52-year-old Galen Clark, who’d proved himself to be a failure at most everything else he’d ever tried to do. California appointed him the first guardian of Yosemite and the Mariposa Grove for the munificent figure of $500 a year. Out of that, he was to pay all his living expenses, maintain all roads and bridges, supervise all those who set up businesses, hotels, etc., and, not incidentally, prevent the tourists from destroying the park! An almost impossible challenge. Even at that, the State of California withheld his wages for four years! Just as bad, there was the self-appointed ruler of the park, James Mason Hutchins (a man who’d done much to publicize the park). Hutchins had no intention of surrendering authority over the park to Clark or the State. In fact, Hutchins decided to construct a sawmill in the park and wasn’t about to be stopped by anyone! But he needed a reliable man to construct the sawmill and run it. Enter a wandering sheepherder from Scotland. Born in Dunbar, Scotland, and growing up in Wisconsin, he was raised by a harsh tyrannical father, an itinerant Presbyterian minister, who forced his son to memorize the Bible—and beat him repeatedly to keep him at it. After escaping from his father, uncertain as to his future, he walked a thousand miles to the Gulf of Mexico, then came west. Seeking the wildest place he could find, he was steered into sheepherding in the Sierra Nevada Mountains. 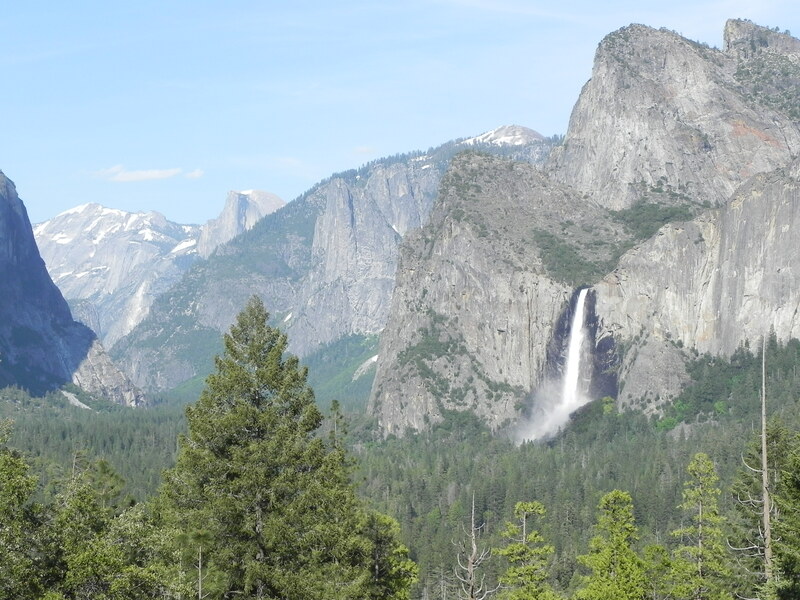 And so it came to pass that, in the fall of 1869, this 31-year-old walked into the Yosemite Valley to apply for the job of sawmill builder and manager. His name was John Muir (Duncan and Burns, 15-17). Finding a rental car with enough trunk room for four people—for a month—was no easy task. Finally, Budget came through with a Lincoln Town Car (the only full-size auto with enough trunk room). 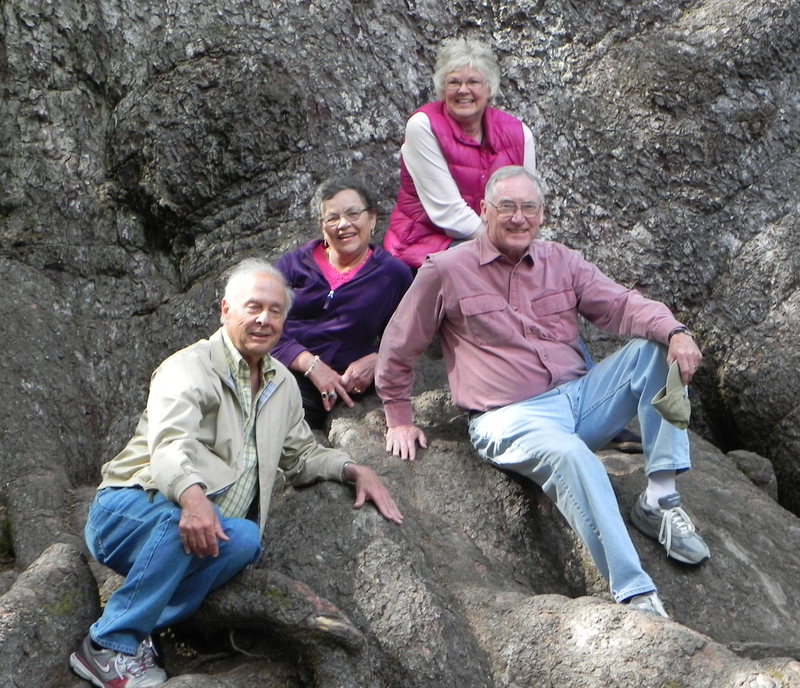 In mid-June, Connie and I picked up Bob and Lucy Earp at the Portland Airport Hampton Inn. We collectively gulped as we looked at all their luggage (from Tennessee) and ours (from Colorado). How in the world would we ever get all that in? We did—but it wasn’t easy. One learns that the world, though made, is yet being made. That this is still the morning of creation. That mountains, long conceived, are now being born, brought to light by the glaciers, channels traced for rivers, basins hollowed for lakes. When we try to pick out anything by itself, we find it hitched to everything else in the universe. . . . The whole wilderness in unity and interrelation is alive and familiar… the very stones seem talkative, sympathetic, brotherly. . .
and pray in, where Nature may heal and cheer and give strength to body and soul alike. magnificent National Parks—Nature’s sublime onderlands, the admiration and joy of the world. With that inspirational preamble, we drove off. I-5 South was predictably boring; but things got more interesting after we veered off onto Highway 58 at Eugene. Keeping us company for some time was one of Zane Grey’s most beloved fishing rivers, the North Umpqua. It was late afternoon before we hit the snowline. 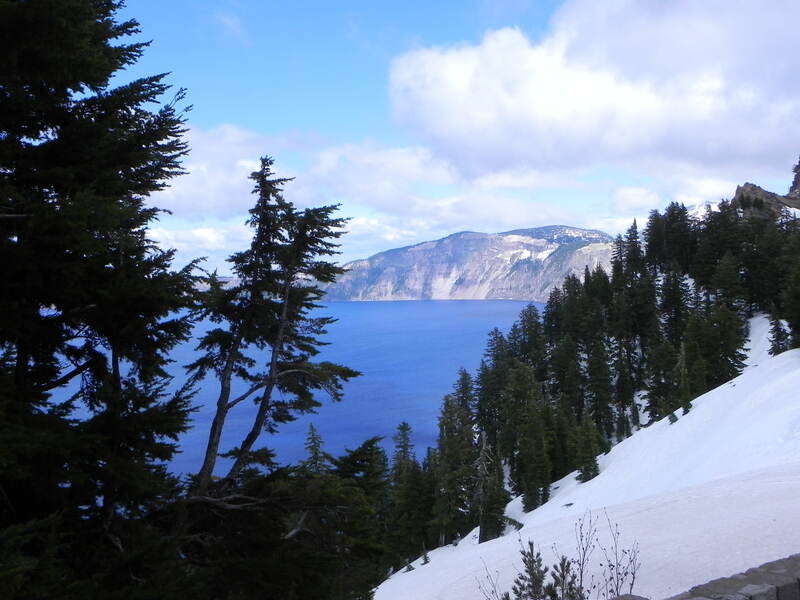 By the time we nosed the car into the Crater Lake Lodge parking lot, it was clear we wouldn’t be able to drive around the crater—too much snow! By now, the lodge was an old friend: Connie and I first came here in 1962; our son Greg did too, but didn’t see much, since he was still in the hopper. The last time we visited it there was so much snow we had to tunnel our way through. But this year had been a light winter. It is America’s deepest lake (almost 2,000 feet deep), and one of the ten deepest in the world; its beginning rocked the West: 7,700 years ago, towering Mount Mazama erupted with 100 times the magnitude of Mt. St. Helens in 1980, blowing ash and pumice over what is today eight western states and three Canadian provinces. The resulting caldron (six miles across), over millennia, gradually began to fill with water from rain and snowmelt—no streams feed into it or drain it. Snow is heavy, averaging 44 feet a year, thus its summers are short. It has been documented as the clearest water in the world, with perhaps as deep a blue as exists on the planet. Most of our national parks were blessed by single-minded visionaries obsessed with saving them for posterity; this proved true for Crater lake as well: in 1870, a fifteen-year-old Kansas boy, William Gladstone Steel, idly thumbing through newspaper sheets that had been used to wrap his lunch, chanced to see an article about a mysterious “sunken lake” in Oregon. Not only did he vow to see it some day, he kept his vow. Fifteen years later, in 1885, the now thirty-year-old man stood on the lake’s rim—awestruck. Right then and there, he made another vow; to spend the rest of his life on its behalf. No small thanks to him, in 1902, it became the nation’s sixth national park. Steel became park superintendent. But Steel yearned for more than just national park status, he wanted several lodges of the stature of El Tovar, Ahwahnee, and Old Faithful to grace it. But that task proved to be a veritable labor of Sisyphus for a number of reasons, chiefly his failure to find wealthy backers and the short summer seasons. Finally, concluding that he’d just have to make do with what he had (the support of Portland entrepreneur Alfred L. Parkhurst, architect R. H. Hockenberry, and builder Frank Keyes), plans to construct a lodge of some 77 rooms were set in motion. Sadly, however, so underfunded was the project that they were forced to cut corners—but it was either that, or nothing. One of those cost-cutting decisions resulted in their foregoing strong roof trusses. Predictably, the roof collapsed during the blizzards of 1913-14. But the lodge bravely opened its doors anyway, in its unfinished state, in 1915. And the people came. The late teens and Roaring Twenties spawned an explosion of automobile travel, and Crater Lake Lodge became a popular destination—at least when snow melted early enough. But always it was a battle to keep it open. Ownership changed hands again and again. In 1959, plans were made for its razing—but somehow it survived until 1984 when the National Park Service recommended that it be demolished, and a new one constructed away from the rim. And they had reasons: “The truth was that the old lodge was a dump. The roof sagged, the bathrooms were spartan, light fixtures dangled from the ceiling, and the wind whipped through the walls”. . . . As time passed, “it would kind of move and creak and groan with the snow in the winter . . . so heavy that the roof was kind of flattening out the building and the walls were bowing.” (Barnes, 90). But then the people of Oregon stepped in to save the beloved old derelict. In 1987, the Oregon legislature passed a resolution to save it. A state-wide campaign known as “Saving Crater Lake Lodge” was organized. But none of it arrested the deterioration. Finally, in 1989, with the central roof threatening to collapse, the lodge was ordered to close. Then began a six-year effort to save it. It soon became evident that if it were to survive, it must be dismantled and rebuilt from the foundation up. In the ensuing process it was discovered that it didn’t even have a foundation; nor was there any solid infrastructure. 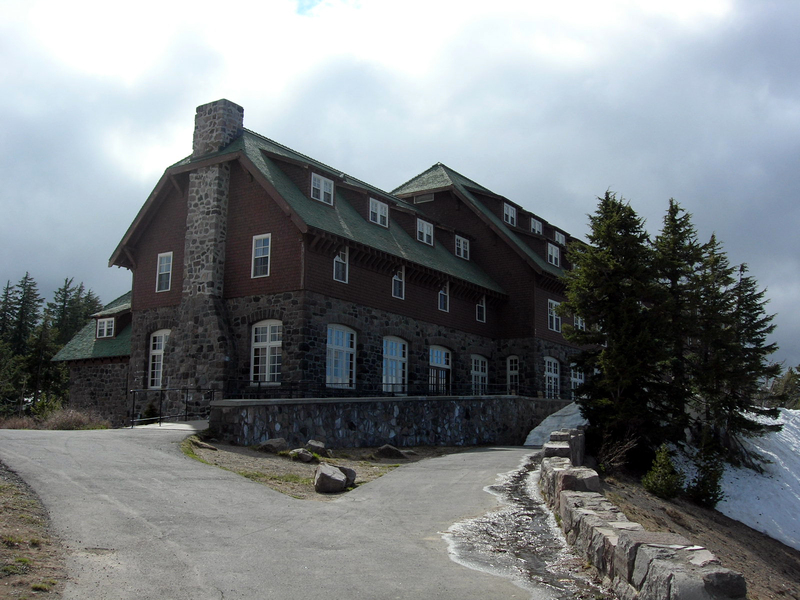 $15,000,000 was spent in painstaking efforts to not only restore the lodge, but, more importantly, restore it to what it never had been: a lodge anchored by a solid foundation and a steel-beamed infrastructure. The great hall was rebuilt and the kitchen gutted, then replaced. Windows overlooking the lake were positioned so they would showcase the reason why people came here, and everything radiated out from the great hall and the fireplaces. On May 20, 1995, Crater lake Lodge—against all odds—reopened. Barnes concluded her moving story with these words: “The essence of Crater lake Lodge lies in its memories. While the historic structure no longer bears the ragged signs of aging, the heart of the lodge remains the same. It is still a wonder of man perched on the edge of a wonder of nature.” (Barnes, 93). We checked in. Our fourth floor dormer room was small, as are almost all old hotel rooms. Those who thronged early lodges spent little time in their rooms, but much time exploring the parks; in the evenings, they reveled in each other’s company in the great halls, listened to music, played board games, and dreamed by the great fireplaces. At Crater Lake Lodge, time stood still. Here we met not only Oregonians but people from all over the nation and from around the world. Each had come to savor a long-loved artifact of a bygone world that had miraculously survived until the Year of our Lord 2010. Like us, they’d come here to escape a cacophonous modern world so devoid of serenity and peace. As we ate our dinner by the window, we gazed out, entranced, at the breathtaking late afternoon diorama of changing colors. No one was in a hurry to leave the table. Afterwards, we walked outside again, then came back and played a board game by one of the fireplaces. Later, we crawled into our bed (small compared to our usual standards) and snuggled—we had to! During the night, the 95-year-old building talked to me. And I couldn’t help but wonder who else had slept in this same little room. What were their thoughts? One of my last thoughts had to do with gratitude: I’m so grateful this place is still here! Next week, it’s on to Oregon Caves Chateau. Barnes, Christine, Great Lodges of the National parks, Vol. 2 (Portland, Oregon: Graphic Arts Books, 2008). These two books are must-reads for all who treasure our parks. 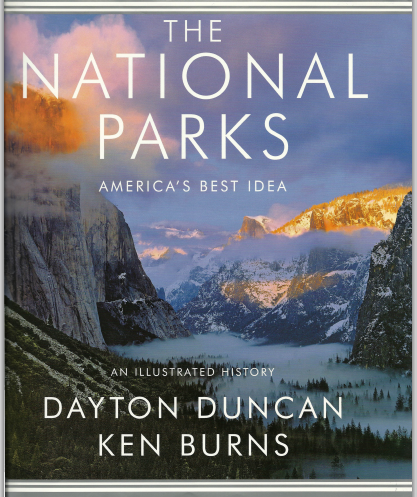 Duncan, Dayton and Ken Burns, The National Parks: America’s Best Idea (New York: Alfred A. Knopf/Random House, 2009). It took a year to make all our bookings and clear our schedules so that we could dedicate a month of our lives to such a venture. Our primary concern—other than the cost, of course—had to do with whether or not our friendship could survive such close quarters 24/7 for that long. In the end, given that it had already survived several cruises together, we decided to risk it. Interestingly enough, at our recent 28th Zane Grey’s West Society convention, I told attendees about our pilgrimage and asked them, “how many of you watched the Ken Burns National Park series?” Almost every hand went up! Clearly, there is renewed interest in our national parks all across the country. Since so many of our Society members appeared to be green with envy, we concluded that many of you who tune in to “Wednesdays with Dr. Joe” each week might be equally interested in vicariously enjoying the journey with us; then later, possibly visit these sights yourselves. Hence the birth of this series of blogs. Since all four of us were interested in learning as much as we could about the places we visited, we began putting together a library of reference material which we could share on the trip. This way, we’d know what to look for when we arrived at each location. AAA maps of each state we’d visit. AAA books dealing with each state. Most important of all: Christine Barnes’ splendid two-volume books for the PBS Series, Great Lodges of the West, aired in conjunction with Ken Burns PBS park series) (Bend, Oregon: W. W. West, Inc., 2002, 2008). These books are the result of a prodigious amount of research and are lavishly illustrated with beautiful photographs. You’ll want to pick up a set for yourselves whether or not you visit these lodges yourself; however, I’ll be surprised if they don’t launch your own personal journeys of discovery. They will be our primary sources for this blog series. Second in significance to Barnes, is David L. and Kay W. Scott’s The Complete Guide to National Park Lodges (Guilford, CT: The Globe Pequot Press, 1998, 2009). This book’s main value has to do with smaller lodges not included in Barnes’ books. The bible for studying into our national parks has to be Dayton Duncan’ and Ken Burns’ The National Parks: America’s Best Idea (New York: Alfred A. Knopf/Random House, 2009). It is already in its second printing. Much of the PBS text is incorporated into the book. Also new is Mel White’s Complete National Parks of the United States (Washington, D.C.: National Geographic Society, 2009). There are a number of scenic drives books out, but the one we took along was The Most Scenic Drives in America (Pleasantville, NY: The Reader’s Digest Association, Inc., 1997). Together with the AAA books, it makes road trips a lot more informative as it highlights the key sites to take in while in each area. Since three of the lodges we visited (Old Faithful Inn, Lake Quinault Lodge, and Lake Hotel at Yellowstone) were designed by the now legendary park architect (indeed, one of the fathers of “parkitecture”), Robert C. Reamer, we purchased Ruth Quinn’s insightful Weaver of Dreams: The Life and Architecture of Robert C. Reamer (Bozeman, Montana: Artcraft Publishers, 2004). Besides these, there are many other helpful books, especially the beautiful national park books put out by various publishers (such as K.C. Publications, Sierra Press, etc.). Under national parks, we also include national forests, national monuments, national recreation areas, etc. * See you next week; would be honored to have you journey along with us.